Adidas Tubular Shadow Review - Buy or Not in Apr 2019? Available in more than 20 style options, the Adidas Tubular Shadow is not a fancy, high-tech sneaker nor does it contain Adidas’ popular Boost or Bounce cushioning. The omission of these materials helps to keep the price down. 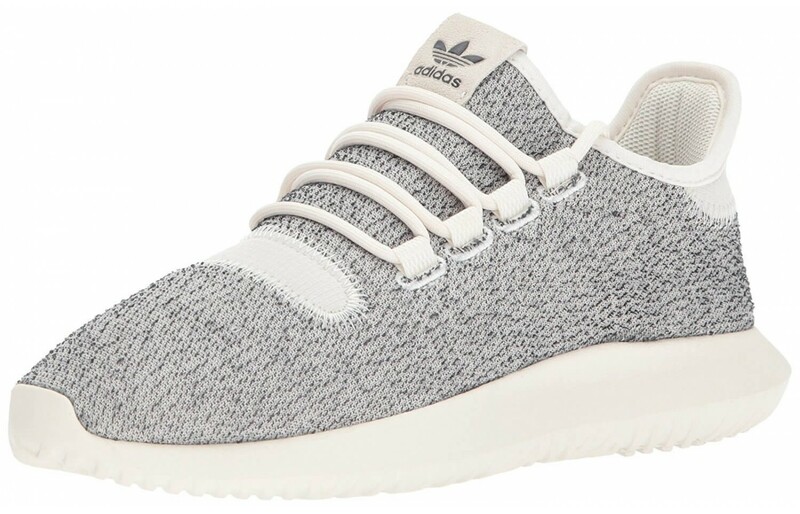 What the Tubular Shadow does have going for it, though, is that it’s an attractive shoe. It’s even popular with celebrities! The lifestyle shoe is coveted by wearers for its incredibly stylish design. Recently, Adidas launched 9 updated Tubular colorways. While you could use the Shadow for low-mileage training, it’s likely best kept for casual outings. We have spent 3.9 hours analyzing a total of 560 reviews. Really so cool and so comfortable great trainers and I can wear without socks. I did a 6 mile long clifftop walk in these minus any socks and they didn’t chafe or rub. Very good instep supportive and with good cushioning. I disliked the look of them. But after putting the shoes on, I was on board. Not only are they much more comfortable, but they feel amazing stable. These are Lightweight, they give excellent support, and no discomfort or rubbing. Got these for my boy, and he loves these and said they are seriously comfortable. He's had them for 10 days so a bit unsure how well they last. Will update everyone as the time passes. Really Super stylish and nice light weight, when I run I feel confident in the shoe and it meets my picky expectations. My shoes are really comfortable and they are the real deal they came with an adidas box and the tags. I have seen comments about fakes but all I find is comfort and style. It is a good shoe very similar to yeezys and these shoes are comfortable, tough really easy to run in and I liked the breathability. I do go on some punishing runs and what I like about my shoes are that after a run they are quick and easy to clean. The other points which are good is the shoe lets my feet stay free from getting sticky and sweaty and the sole does hold steady on different surfaces. In comparison to other Adidas shoe, I’m hooked on the design and the upper shoe structure which does give me good stability and lots of air and ventilation for my feet abut it’s not bad also for keeping out light rain. Got to give it to Adidas, I run a lot and long and the shoe has great material for letting my feel breath, I’m going to stay with this brand. The shoe colorways are impressive and so is the shoe, it does perform and so far no problems with durability. It has turned out to be a good shoe, I like it and I’m impressed with the comfort which is present throughout the whole shoes. I’m over picky when it comes to shoes and as a regular runner I have to be, these are fine for the price, you get a good protective and comfortable shoe and it nicely styled. My 16 year old son got a pair, though he said they are comfortable but they wore through the toe part far to quickly. For our dollars I expected more durability. I was given a pair for my birthday, yes, they look nice but they started to break up really fast, this is not good when these are meant to be sports shoes. Into only 35 days and the triangular part on the right shoe is coming adrift and this looks like the shoe is just going to break up bit by bit. I won’t buy these again even at a discount. The feeling from the shoe and the look is fake, they are nothing like the pair I checked out in the store, even the sizing feels wrong and the materials is very suspect. I wont buy online again. Watch out, the shoe ran large and not true to standard sizes, as soon as I went for a run I felt the chaffing and thought maybe I just got to break these in but when I checked closer the sizing was out. Of the 560 reviews we found in total, 13% were negative, and 87% were positive. The outsole of the Adidas Tubular Shadow is made of rubber. While the sole is fairly thick and durable, some users were still worried about the longevity of the Shadow. It's fair to worry about durability in a shoe that's significantly lower in price than other models. Reviewers did find the shoe provided good traction. 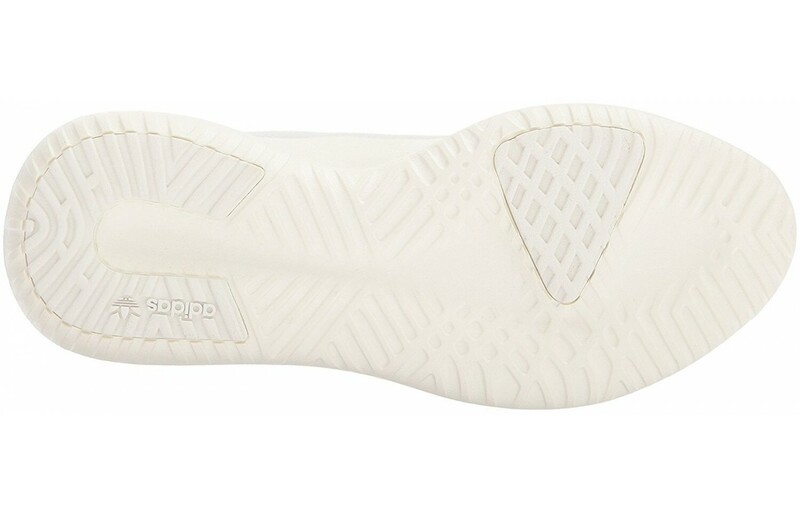 Adidas keeps things simple with the Tubular's midsole. Instead of more expensive Boost or Bounce cushioning, the shoe contains EVA foam. The foam runs the length of the shoe for total protection underfoot. Using a cheaper midsole material helps allow the price of the Shadow to be considerably lower than other Adidas brand shoes. Reviewers found the cushioning responsive but noted it wasn't anywhere near the bouncy feel of Boost cushioning. Others called the cushioning plush and found it reasonably comfortable. Depending on which edition of the Shadow you choose, there are a few different upper styles including knit mesh, Primeknit, and leather. The upper features a 3D textured diamond pattern and a sock-like design for a wrap fit. Reviewers found the upper flexible, breathable, and lightweight. Some were happy with the support provided by the upper while others complained that the fit was roomier than they expected and not supportive enough. For the most part, users liked the minimalist feel of the upper and appreciated the stylish design. For a casual wear shoe, the Tubular is fairly lightweight, according to reviewers. Users reported the shoe as having a minimalist feel, which they quite liked. 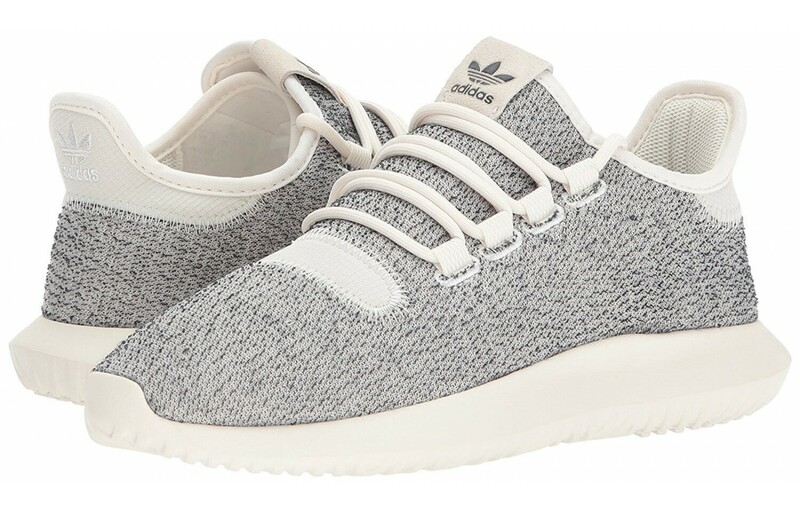 The Tubular Shadow features a 3D textured knit pattern that allows air to circulate. For the leather version, however, breathability may be minimized due to the nature of the material. Most reviewers were happy with the upper's ability to ventilate. While the Tubular doesn't have the super comfortable, energetic Boost cushioning of other Adidas shoes, reviewers felt the Shadow was comfortable enough considering its lower price point. Some described the cushioning as plush and found it provided decent responsiveness. Not as good as Boost cushioning, but not terrible. The majority of reviewers found the sneaker true to size with a few complaining about too roomy a fit. Overall, reviewers liked the minimalist construction and ride feel of the Tubular Shadow. It's all about style with the Tubular Shadow! Why do you think so many celebrities have been spotted wearing this fashion sneaker? It might have something to do with the unique, hip asymmetrical design of the Shadow or perhaps the fact that Adidas offers the shoe in more than 20 colorways. It also just got released in 9 updated styles with fresh new color combinations. The budget-cousin of Yeezys replicates the look flawlessly. A few reviewers did worry about durability with the Shadow because of the shoe's lower price point. It's fair to be concerned about longevity since the shoe doesn't feature the same components as higher end Adidas shoes. The construction still feels substantial, however. For general fashion wear, the sneaker should hold up just fine. Don't expect a ton of protection from the Tubular Shadow. It's a fashion sneaker with a thick outsole and with standard EVA midsole foam cushioning. It will protect you just fine from feeling unsteady while walking around and offers adequate cushioning to reduce shock on the body. Since the Tubular isn't technically meant for high-impact activities, it's plenty of shoe to keep you protected while going about your day. Unfortunately, the Shadow's EVA foam midsole just doesn't provide as much responsiveness as Boost cushioning. Some reviewers were disappointed with the inclusion of a lower-quality cushioning material while others recognized that the midsole swap allowed for a lower price point. The full-length EVA padding is still responsive, though, it just doesn't compare to Boost cushioning. 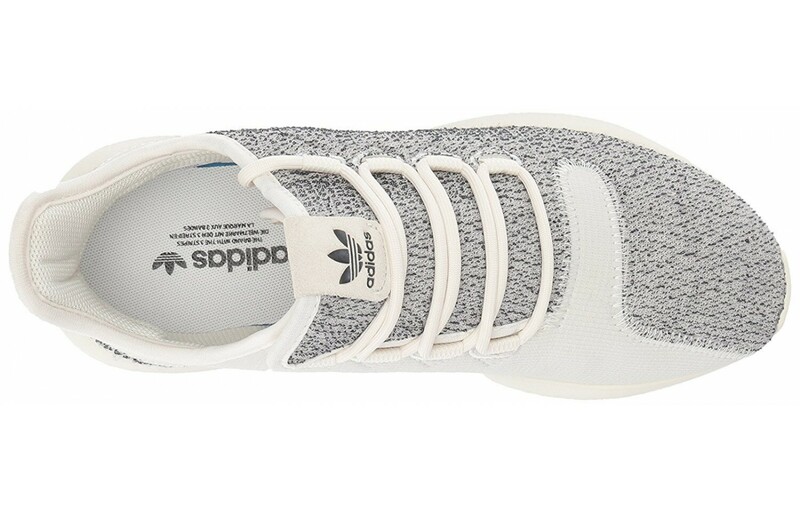 The Adidas Tubular Shadow features a sock-like knit upper (it also comes in a leather and PrimeKnit version). The wrap fit is snug and therefore offers support to the wearer. Some reviewers, though, found the fit a little bit looser than they anticipated and not as supportive. An everyday wear sneaker like the Tubular isn't destined for more rugged situations. For walking around on sidewalks or heading to the mall, the thick outsole will fare perfectly well. Thanks to a midsole cushioning (EVA foam) that's less high-tech and cheaper than Boost cushioning, Adidas offers the Tubular at a significantly lower price than its other Boost or Bounce filled shoes. While this does mean that the design is slightly less durable and much less responsive, reviewers were extremely happy to have a budget fashion sneaker available to them. A lower price means that it's easier for users to purchase multiple colorways at one time, too. The thick rubber outsole on the Tubular provides adequate traction, according to reviewers. For a fashion sneaker, it's all the grip you'll need. Users found the Adidas Tubular quite flexible. The thick outsole and softer EVA foam cushioning are soft enough to allow the shoe to bend naturally. A snug wrap fit, almost like a sock, provides users with some stability, though some found the shoe a bit too roomy for their liking. Other than that, the shoe's minimalist construction doesn't afford any extra stability. For everyday casual wear, this seemed to suit most reviewers just fine. We couldn't track down the exact drop height of the Adidas Tubular Shadow but the minimalist feel and design of the shoe point to a low to the ground offset. 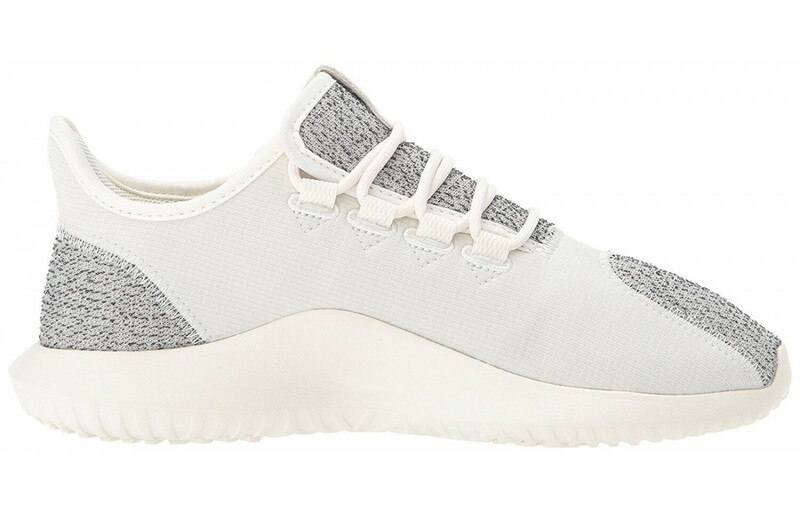 If you're on a budget but on the lookout for a super stylish fashion sneaker, the Adidas Tubular Shadow might be worth a look. With more than 20 colorways available, it's probable that you'll find a style that matches your personality. Worn by celebs, the Tubular is a leisure sneaker with a comfortable fit and minimalist design. The lightweight fashion shoe features a unique and interesting asymmetrical design. Don't have the cash to put down on a pair of Yeezys? The Shadow offers a similar style and plenty of comfort for those who don't have money to burn.